The 35-year-old had shut himself away in a toilet to rehearse his lines for an English-language stage role. However, a passing train guard who overheard his soliloquy raised the alarm – telling his bosses there was someone talking about weaponry. 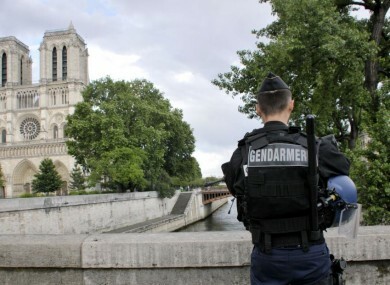 On Tuesday, police shot and injured a man who attacked an officer outside Paris’s Notre Dame cathedral. “Taking into account the current context of terrorism and the national threat level, the train guard did not take any risks and for the avoidance of doubt had the man questioned,” a spokesman for national train company SNCF told AFP. Email “Actor mistaken for terrorist after rehearsing lines on train in France”. Feedback on “Actor mistaken for terrorist after rehearsing lines on train in France”.